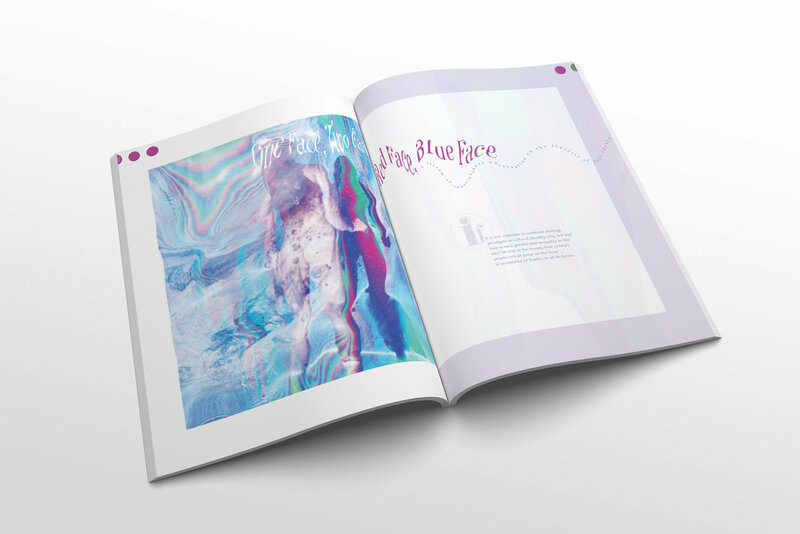 Dot Dot Dot is a monthly publication targeted at a younger generation of individuals who feel an internal unrest with their self-identity. This is a safe and encouraging space for confident self-expression and fosters a sense of community amongst its readers. DDD feels it is important to embody not only the exciting side of self discovery, but also the more serious conflicts that may arise from this journey. The logo is designed to adapt to the theme of each issue. This, as well as the name Dot Dot Dot, is inspired by the notion that life is a constant continuation, and we want to embrace our demographic’s transition period as an opportunity to encourage readers to go forth as their true self. where readers can submit art / words / creations for a chance to be featured in the following issue. showcasing tales of triumph, wins for human rights, and fist-pump worthy stories. a stream-of-consciousness observation on the fluidity of self-identity. One woman's odyssey to introspective love through a darker side of the self-discovery journey.